Where else could he go but through the Jordan valley. Where there would be water at hand to baptize those wishing to amend their lives? Now the word Jordan means descent or coming down. Coming down and rushing in full flood is the river of God, the Lord our Savior, in whom we were baptized. This is the real, life-giving water, and the sins of those baptized in it are forgiven. So come, catechumens, and amend your lives so that you may have your sins forgiven in baptism. 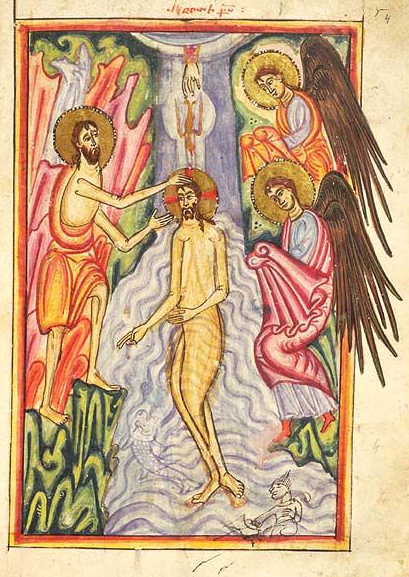 In baptism the sins of those who cease to sin are forgiven, but if anyone comes to be baptized while continuing to sin, that person’s sins are not forgiven.